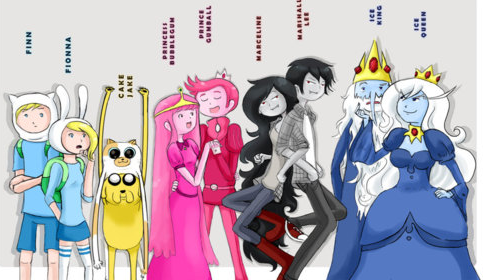 Finn,Fionna,Jake,Cake,Princess Bubblegum,Prince Gumball,Marceline,Marshall Lee,Ice King,Ice কুইন. Finn,Fionna,Jake,Cake,Princess Bubblegum,Prince Gumball,Marceline,Marshall Lee,Ice King,Ice কুইন. Wallpaper and background images in the ফিন ও জ্যাকের সাথে অ্যাডভেঞ্চার টাইম club tagged: adventure time. This is cool just do some minor changes. ^I like my changes pretty good!